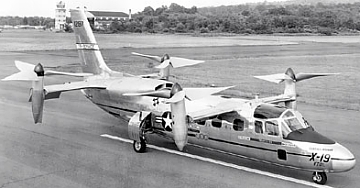 In 1958, Curtiss-Wright started the four passengers VTOL commercial aircraft program without any government support. It was designed with a tilting propeller at each wing tip that a nacelle could rotate in pointing vertical for take off & landing and pointing horizontal for cruise. When the two prototypes were almost completed, Curtiss-Wright decided to offer these two aircrafts to the Air Force for VTOL technologies development of the Tri-service military needs. Under the Air Force agreement, three prototypes would be built, designated X-19. Two for flight tests and one for structural testing. 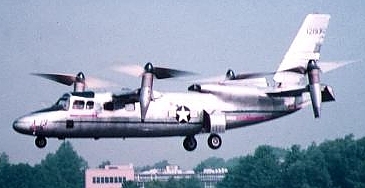 The first prototype first flight in November 1963. Many problems surfaced during the following months. Two years later it was crashed by parts failures and pilot's error. The Air Force still wanted to test the 2nd prototype. 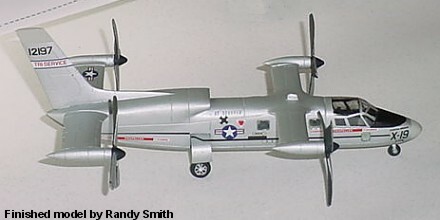 However, Curtiss-Wright saw no future business in civil VTOL transport and ended the program. The first X-19 completed test flight total of 3.85 hours and the 2nd X-19 was never flown. 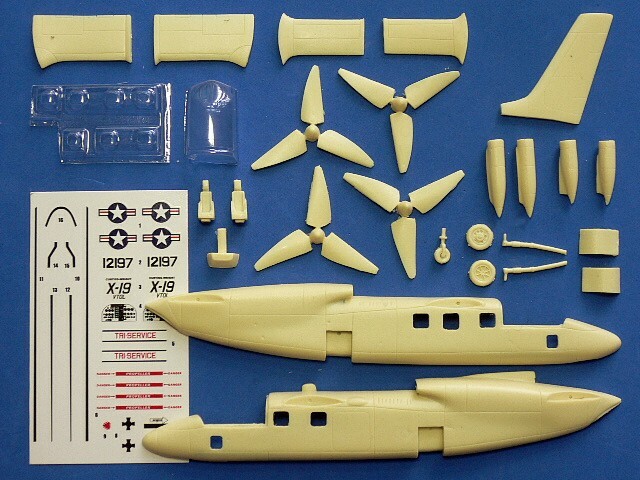 The Curtiss-Wright X-19 is suitable to group with the following collection series.